Hi! We're City Folk who have chickens. 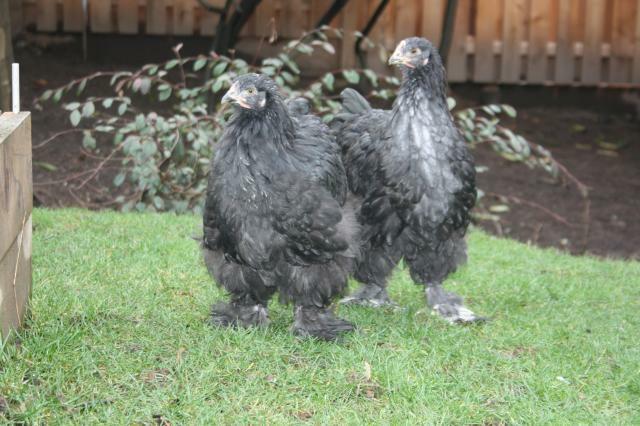 We have a variety of breeds in our LF coop including 2 EE's, a broody black australorp, 4 cochins (pigs in chicken suits), a BCM, 2 wyandottes, 2 mix girls and a very loud Welsummer, the spokeshen for the group. Our Bantam coop houses 4 silkies and a few banty cochins. We love the bantams. This is Ginger, the boss bird. She is 9 years old. We also have Dotty who is 9 but she's content to spend her days sleeping. 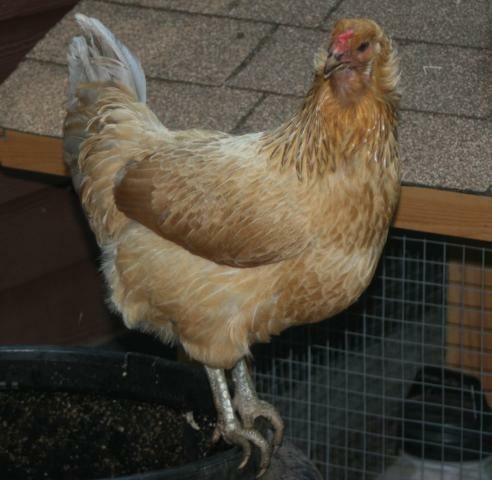 Ginger enjoys the compost bin quite often. She has claimed it as her own. They were laying well for 8 years but we haven't seen an egg from them for a while. Francesca went broody and I gave her a few eggs. 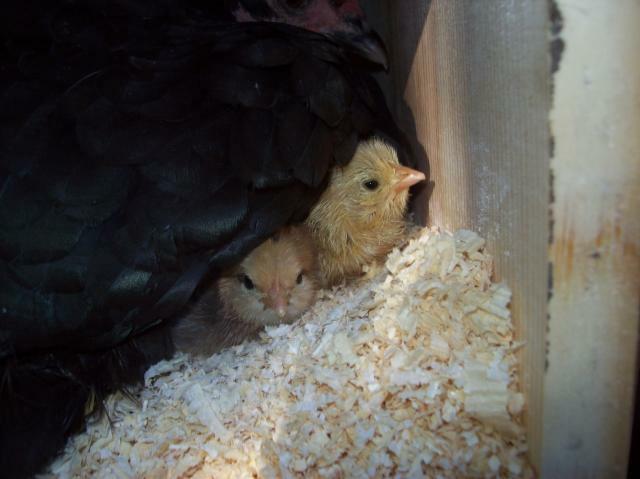 These cuties hatched. She's such a good mom. 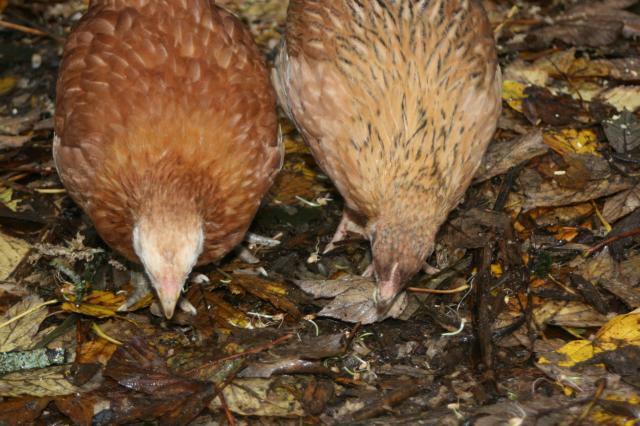 This is Chip and Aggie now...2 mixed breed pullets! 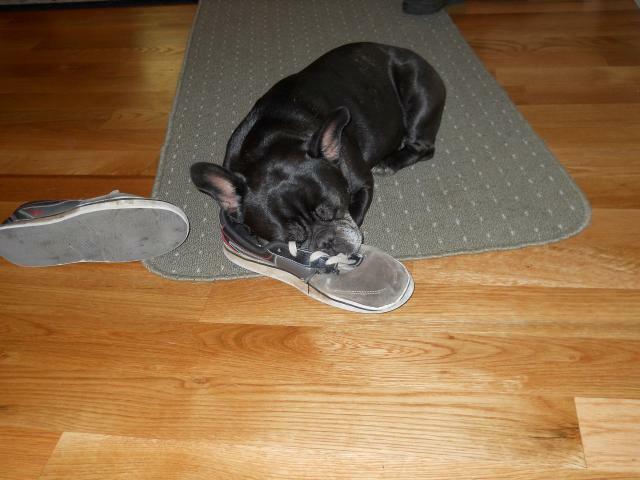 Besides the chickens, we have 2 french bulldogs and 2 english bulldogs. This is one of my favorite girls (the front bird), still very young here. Her name is Moose. She was so massive as a chick we were sure she was a cockerel. She's just a laidback sweety.